So I officially made it to Chile, or as it is properly pronounced "chee-lay." I landed in Santiago on the first day of orientation, which as you can image, was very hectic. My first impression of Chile was amazement. When I was flying over the Andes Mountains, headed to the central region of Santiago, it was unlike anything I had ever seen before. It was a breathtaking sight; for a city girl like me, the view of mountains this large was truly a beautiful sight. After getting through customs and being transferred to the orientation site, I was simply trying to take it all in and take things one step at a time. It was a bit overwhelming to have traveled almost 15 or so hours between connecting flights, going through processing and baggage claims then to finally be brought to a class to have to absorb new material. I was surprisingly alert and awaiting the next set of directions—it must have been my "new country" feelings. These are feelings most people get when they are traveling to a new place for the first time. No matter how bad the circumstances are, they somehow smile and await further instructions to go to the next new task. So no matter how jetlagged or weary I was, this "new country" captivated my interest. The orientation was informative. 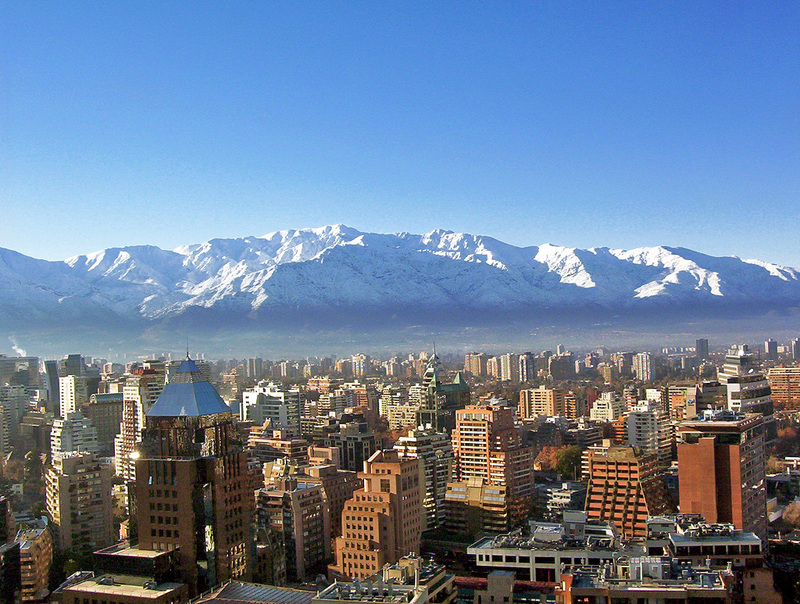 The cultural shock began when we realized that Chilean Spanish is spoken differently than standard Spanish. Although, I thought my Spanish was descent, apparently to Chilean standards it needed lots of work. This, of course, came as a shock to me because in Spain, I spoke fairly well and was complimented by the Spaniards for my Spanish speaking abilities. But a common lesson to be learned—"when in Chile, do as the Chileans do"—so I learned that Chileans cut a lot of their words when they speak and use other words to describe things. For example, normally to say 'more or less' would be "mas o menos," but in Chile, we say "maomeno." I realized that I had to be patient with myself, considering this is a new experience and only about 10% of the country speaks English, which came both as a shock and a challenge all rolled into one. The in-country cooperator for the Working Abroad program took us to Santa Lucia for a field trip. I loved the streets and parks in the square and it was so active and lively. There were street performers, singers, comedians, painters and lots of people enjoying the weather and atmosphere. The weather made me want to find a nice long hammock, stretch it across two trees and lay in it—this is where the jet lag started. It actually was perfect timing, because I was being taken to my host family's house after the trip. On the way there, I did fall asleep and awoke to meet my host mom and brother. They greeted me with smiles, hugs and of course, the proper Chilean greeting of a kiss on the cheek. As I considered the reality of living with no English speakers, my anxieties increased but then slowly dissipated once we sat down and used gestures and basic sentences to express emotions. It became clear to me that this was going to be one of the most amazing and unique journeys of my life and I was ready to embark on it.